As a requirement, all foreign nationals and non-residential Indians must present their passport, and all Indian nationals must present government photo identity card with address at check-in. The Country Inn & Suites® by Radisson, Sahibabad provides comfortable hotel rooms less than one hour from Indira Gandhi International Airport (DEL) and within walking distance of the Vaishali Metro Station. Top sights, including Akshardham, Humayun's Tomb and Connaught Place, are all within a 30-minute taxi ride of the hotel. If you’re in the area for work, we are also less than seven minutes from Vasundhara and about 30 minutes from the East Delhi National Capital Region (NCR), Noida and Greater Noida. Enjoy delicious meals all day long when you dine at one of our on-site restaurants. Start with breakfast at 64/6, our multi-cuisine buffet restaurant. Choose from a menu of local and continental dishes, which offers something delicious for every member of your family. Vegetarians have tasty options for dinner and Sunday lunch at Kebab Junction, located on the lobby level. For special occasions, visit Tatva for fine dining from noon till 11:00 p.m. Order Italian, Chinese and authentic Indian cuisine. Add a romantic touch with poolside dining at 3B’s. After enjoying dinner under the stars, dance the night away with tunes from DJ Ali. 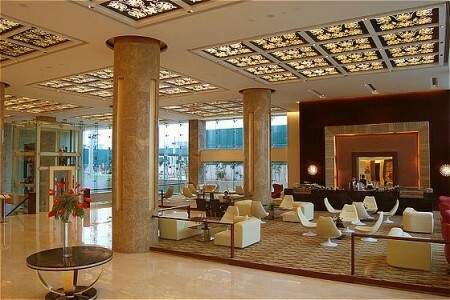 Located on the lobby level, Café J offers small bites and sweets as well as a variety of teas and coffees. Open 24 hours a day, this is a perfect spot for a casual meal, pastries or coffee with colleagues. Akshardham – Just 15 minutes away, Akshardham is a large Hindu temple constructed of nearly 6,000 tonnes of pink sandstone. The temple features a 60-acre garden, lifelike dioramas and an evening water show. Please note that phones, cameras and bags are not allowed in the complex. Connaught Place – Located about 16 kilometres from the hotel, Connaught Place is one of the largest commercial and business centres in New Delhi. While there, you can browse dozens of shops, watch a movie or dine at great restaurants. Humayun's Tomb – This 16th-century mausoleum is less than 30 minutes from the Country Inn & Suites. Humayun's Tomb boasts impressive marble and red sandstone features and is set in a Persian-style garden, making it easy to see why it served as the model for the Taj Mahal. 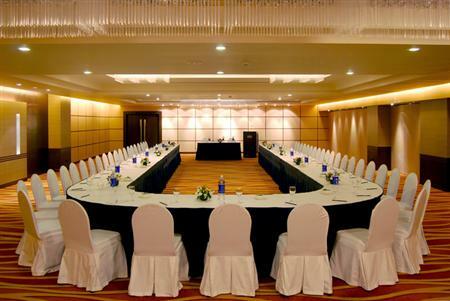 From corporate events to wedding receptions, the expansive banquet halls at the Country Inn & Suites, Sahibabad are ideal for all types of gatherings. When you book one of our spaces, you receive access to a dedicated event planner who can assist with everything from floral arrangements to custom catering menus. 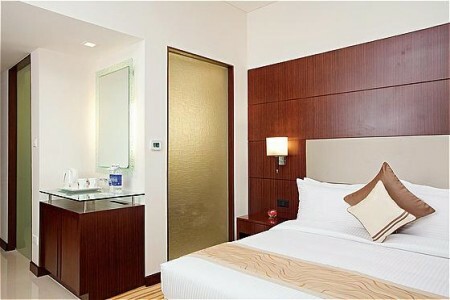 Additionally, each room is equipped with free Internet and audiovisual equipment.